ONCHAN, Isle of Man – February 8, 2017 – PokerStars Championship Panama which takes place from March 10-20, will now feature more than $600,000 in guarantees, including $400,000 guaranteed in the $1,100 PokerStars National Championship, formerly known as the Latin American Poker Tour (LAPT) Main Event, sponsored by PokerStars, an Amaya Inc. (NASDAQ: AYA; TSX: AYA) brand. The schedule, which has been tweaked following player feedback in order to optimise the player experience, has had the number of events on offer slimmed down from 56 to 46, and adjustments made to the schedule such as prolonged registration, re-entries, tournaments with new deeper stacks and longer levels. After the success of the Shot Clock tournament at PokerStars Championship Bahamas, a shot clock will be used in both the $50,000 PokerStars Championship Super High Roller and the $25,750 NL Hold’em Single day High Roller tournaments during PokerStars Championship Panama. For a full breakdown of tournaments that PokerStars Championship Panama 2017 has to offer go to: http://psta.rs/2jRlwrK. PokerStars Championship Panama Main Event packages worth $8,200 are up for grabs in exclusive $20 buy-in Spin & Go tournaments now running on PokerStars. Players can also qualify for PokerStars Championship Panama from as little as $2.20 through special satellites running until March 5. Whilst poker will take centre stage during the Championship, there will be no shortage of entertainment throughout with the unmissable Player Party, taking place at SCORE bar on March 13 from 8pm, and #StarsFun activities and fun competitions, including the daily virtual reality high score leader board, Team PokerStars Pro Q&A sessions, and daily table football and air hockey challenges. 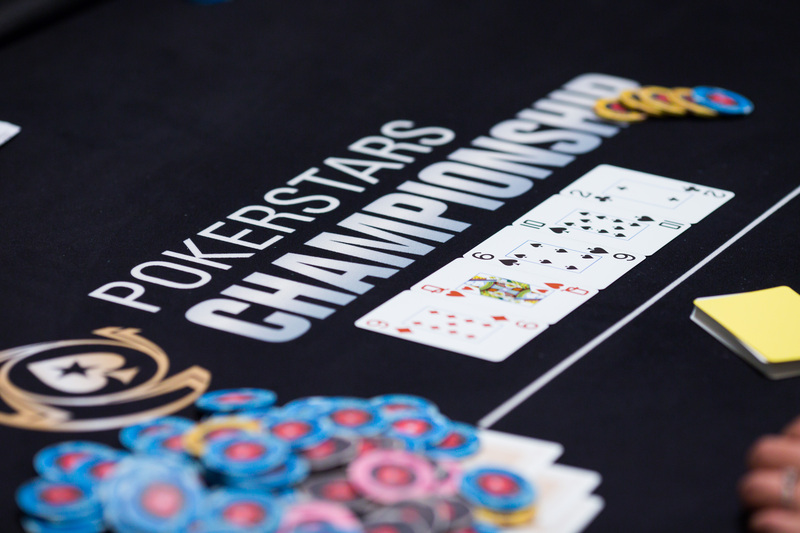 Team PokerStars Pros confirmed so far for the Championship event include André Akkari, Felipe ‘Mojave’ Ramos, and Jake Cody, as well as Team PokerStars Online’s Jaime Staples. This is guaranteed to be one of the most exciting events in PokerStars Championship’s first year. Panama City is a fascinating melting pot of cultural history and 21st century life. This vibrant metropolis boasts plenty to see and do with great shops and restaurants and, of course, the famous Panama Canal.